Virtual Hosting refers to the method in which multiple domain names or rather websites can run on a single server. From a network perspective, there are two basic types of virtual hosting referring to virtualization of Internet-based services. The difference lies in the method applied by the server when a request to determine which of the services provided by it. A host can have multiple network interfaces. On each network interface of a host multiple IP addresses ( alias interface ) are configured. The applications running on the host server or Virtual Hosting server can bind to one or more of these IP addresses. This means that are responsive to different servers that host under different IP addresses. From the client perspective, the Virtual Hosting servers are independent from each other. This method of Virtual Hosting is more robust than that discussed below name-based virtual hosting. Many servers offer the opportunity to offer their Virtual Hosting services at the same time for different domains, regardless of whether the Virtual Hosting server is bound to one or more IP addresses. The distinction, for which the service is requested is made at the application level. Thus, for example, a mail server at the SMTP recognizes the domain of the recipient. This process is called name-based virtual hosting or even as a virtual domain. The latter term is misleading because it is not the domain that will be virtualized, but the ongoing services will be. Pure name-based virtual hosting is used exclusively for virtual servers, as several non virtual server can not accept a shared IP address connections and therefore it brings no advantage to be distinguished by name. This method is less robust than the IP-based virtual hosting. HTTP protocol, for example, HTTP/1.1 is assumed on the client side, which eludes the influence of the server operator. For HTTPS connections it is also a suitable environment for allocation of certificates to the support of the domains server name indication required on the server and the client side. Advantage of the name-based virtual hosting is the server-side lower maintenance costs and lower consumption of IP addresses. This article on Virtual Hosting : IP-Based and Name-Based Virtual Hosting is written by Mr. Kanai Lal Saha, who has been regularly writing excellent articles on core computing, Virtualization and Cloud Computing. 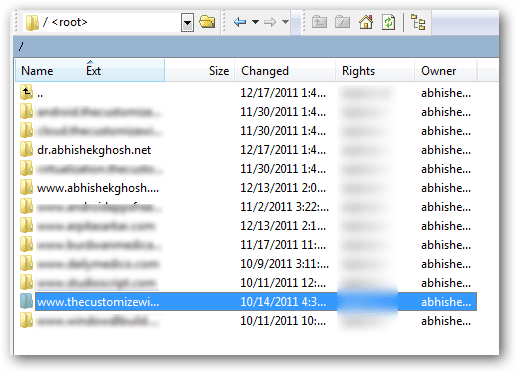 Cite this article as: Abhishek Ghosh, "Virtual Hosting : IP-Based and Name-Based Virtual Hosting," in The Customize Windows, December 27, 2011, April 25, 2019, https://thecustomizewindows.com/2011/12/virtual-hosting-ip-based-and-name-based-virtual-hosting/.